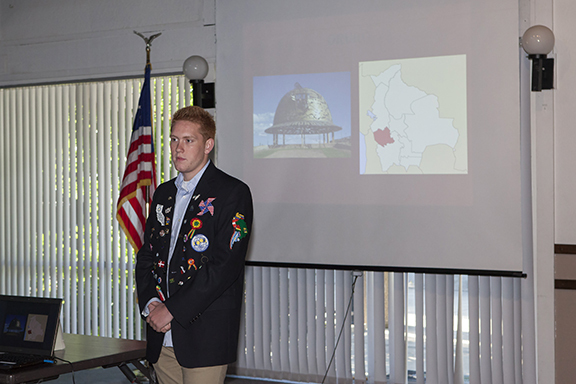 At our meeting last Wednesday, our outbound RYE student extraordinaire, Brock Bastain, gave us a wonderful presentation about his experiences living abroad in Bolivia. We just don’t know how he found time to be involved in so many activities while keeping up with his schoolwork and remaining in touch with us! On a side note, Brock will be attending BYU Provo next year. We know he will do well, and hope he keeps in touch.